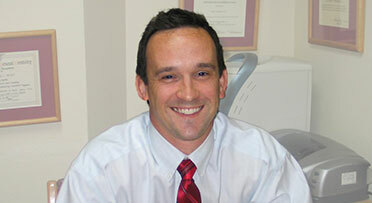 Our Fort Worth dentists specialize in preventive oral health care and the promotion of wellness. After assessing a patient’s individual oral health condition, our hygienists will develop a treatment plan by incorporating the latest in scientific research, including the impact of oral health on diseases such as heart disease and diabetes. While assessing the patients’ overall health, our hygienists will also look for signs of early tooth decay. In addition to providing direct patient treatment, Karen and Laura are dedicated to educating our patients to follow preventive measures at home. It is estimated that three out of four Americans have some form of periodontal disease. Regular visits to see our Fort Worth dentists are extremely important because gingivitis, the early stage of periodontitis, is usually painless and you may not be able to detect it yourself. Early detection of periodontal disease reduces the risk of permanent damage to teeth and gums and can prevent more extensive and costly treatment in later years. Call us today to reserve an appointment, and take the first step to the beautiful smile you deserve! Bringing passion and care towards the best dental health for all of his patients. We offer several financial options to make sure your needs are covered for excellent dental health. By checking this box you hereby agree to hold Jason Fowler, DDS, including its doctors and affiliates, harmless from any hacking or any other unauthorized use of your personal information by outside parties. By submitting this form, you also agree to receive email communication from Jason Fowler, DDS.